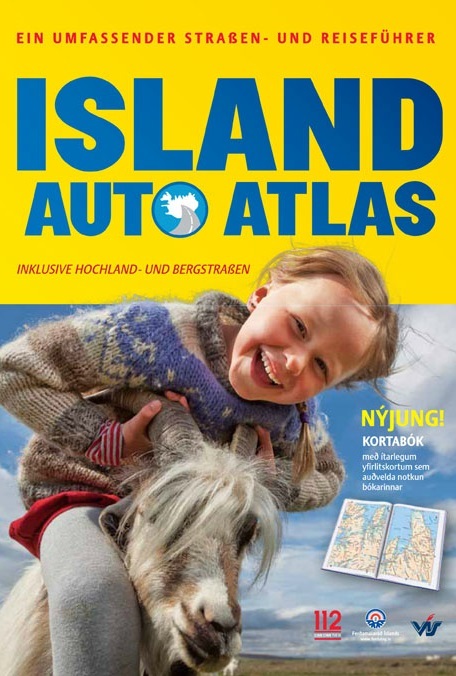 In the new 2015 edition, Iceland Road Guide App is included. The App reflects the book and it's with a map browser. The "Iceland Road Guide" is your key to Iceland, in one handy volume, now with APP. The map is available in three languages: English, German & French. Important tourist information on the map such as accommodation, camping sites, museums, filling stations, swimming pools, boat tours etc. Photos and information for 34 tourist attractions around the country. Explanation of Icelandic place names. List of volcanic eruptions from the year 1700 – 2014. Some interesting facts about Iceland. Useful information of how to drive in Iceland. 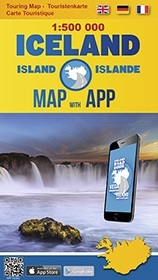 Iceland Road Guide Touring Map with App – a splendid travel companion in Iceland.